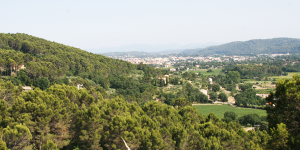 The domaine is on the south-facing slope of one of the Mediterranean foothills. 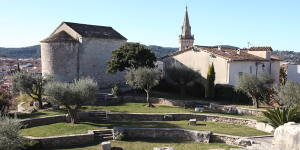 With its beautiful bastide protected by plane trees and a fountain which flows in their shade, the Domain du Dragon is not only in Provence, it is a small piece of Provence all to itself. 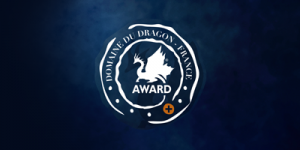 The domaine remains authentic and human-sized, with 24 hectares of rich clay-limestone soil fed by abundant springs. 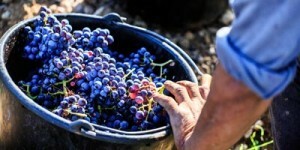 The natural relationship between the earth and the skies gives the wines of the area their brightness, and promise of exquisite flavours to come. 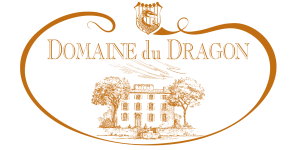 The first owners of the estate did not have to look far for the name of the domaine, which has lasted for over a century. 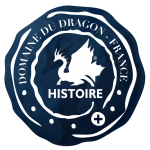 In nearby Châteaudouble, witnesses in medieval times reported an epic battle between St. Hermentaire, protector of the city of Draguignan, and a dragon terrorizing the population in the area. 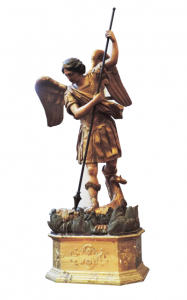 This battle is only a legend of course, as reported in the sixteenth century in his manuscript on the “Life of St. Hermentaire” by Jean de Nostradamus, brother of Nostradamus, another legendary name. 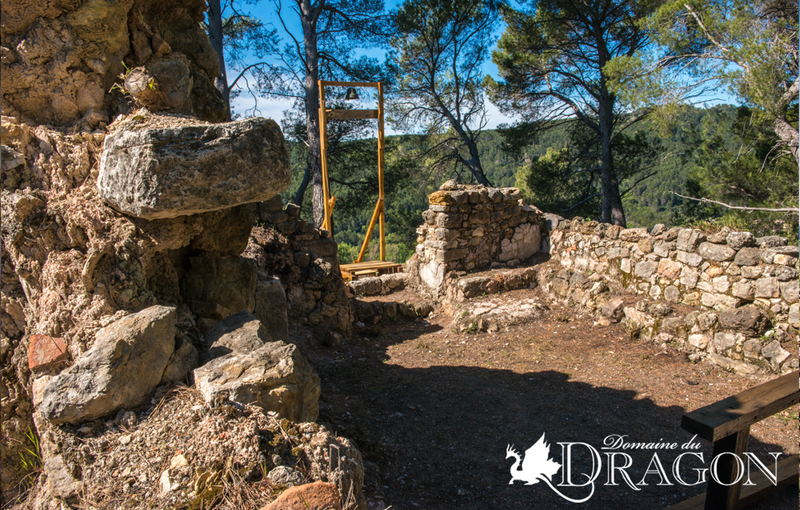 This distant legend has been perpetuated over the centuries and is still alive in the minds of the inhabitants of Draguignan, called Dracénois. 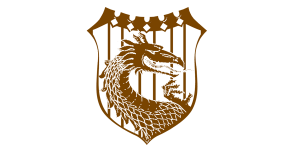 (1) Details of the ensuing fight are lost in the mists of time. 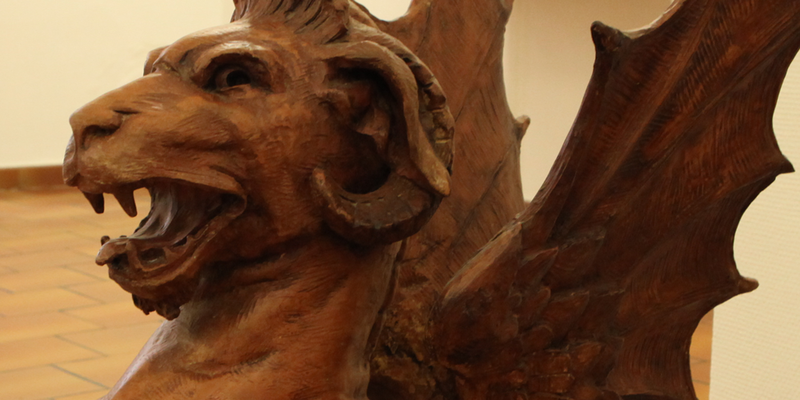 It is said that St. Hermentaire used his belt to tie the dragon to a rock before the butchering it with his sword. 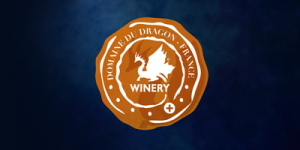 The lands of the Domaine du Dragon are not only rich in minerals from numerous springs. 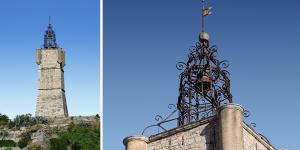 They are also rich in history, as shown by the ruins of the medieval chateau and the St. Michel church, which are separated by a deep valley but joined by their shared history, as they both date from the 13th century. Dominating a rocky outcrop at the edge of the Malmont plateau, these two buildings contemplate the domaine of their past grandeur. 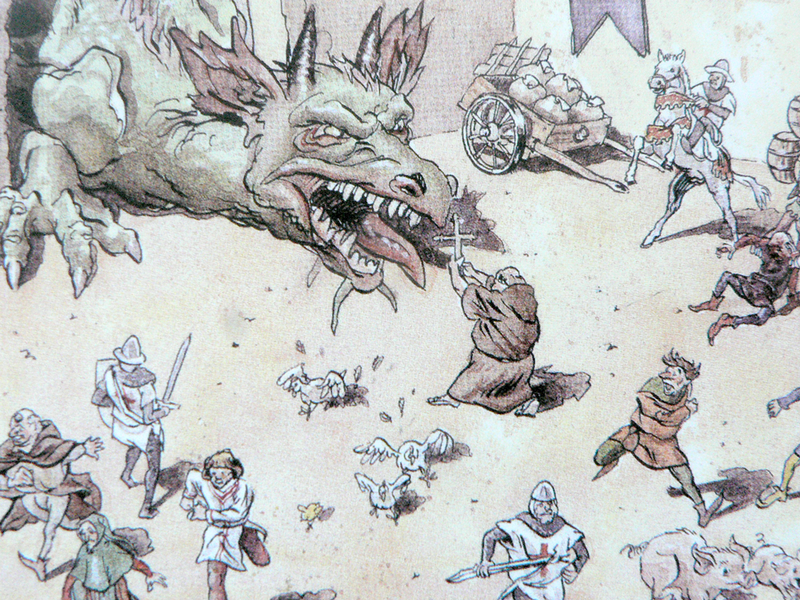 The chateau of the Dragon takes its name from the legend recounted by Jean de Nostradamus of the monster in the forest of Ampus, who was slayed by St. Hermentaire. 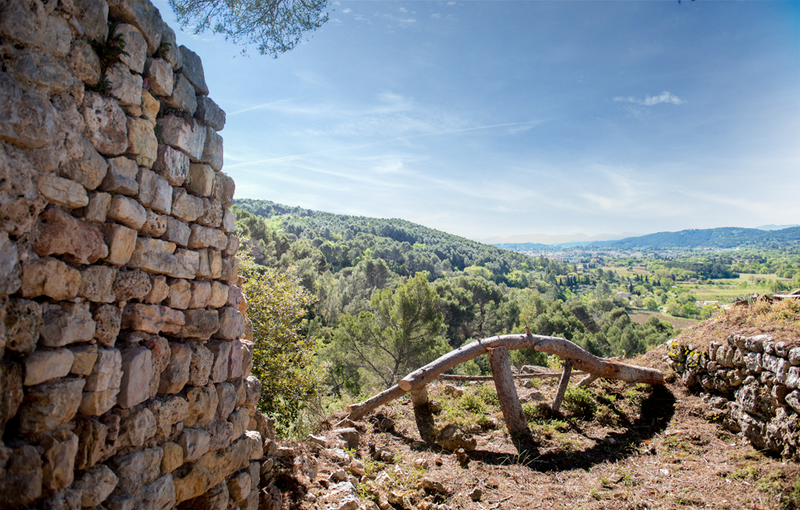 Its two original buildings no longer exist, but partially preserved ramparts and the remains of a watchtower look out over the lush Nartuby Valley, while the walls retain their arrow holes, and there is a gateway into the buildings. 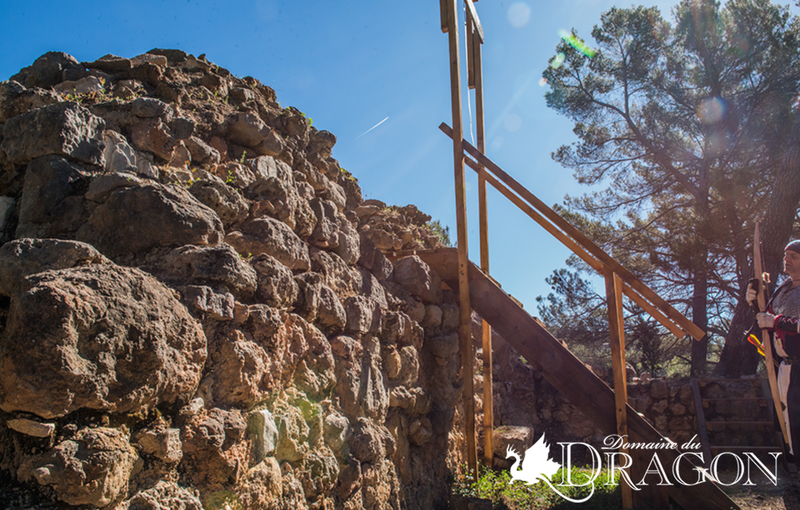 According to official and religious documents, such as the Napoleonic records, this castle with a surface area of 200m2, had an interesting history. 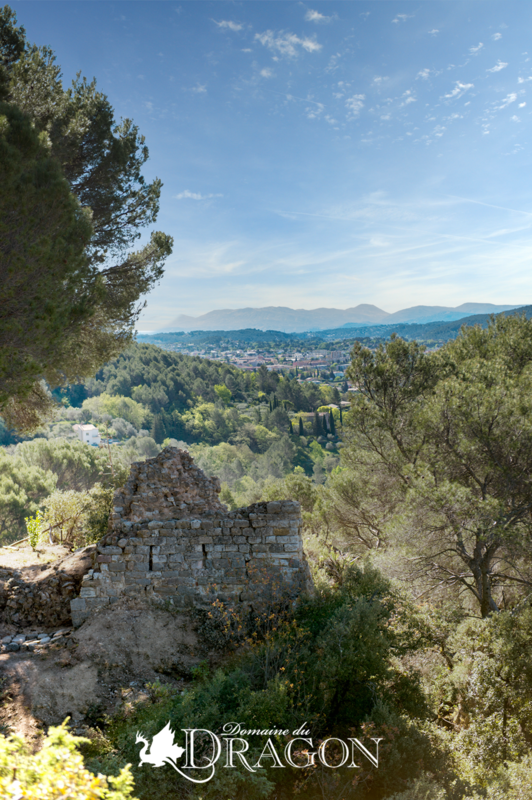 Property in 1340 of Aubert Vaquet, it remained uninhabited during the fifteenth and sixteenth centuries before being bought in 1700 by Baltasar de Harness, Sieur d’Auroules and Châteaudouble, first consul of Draguignan. 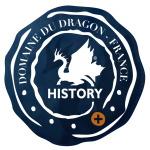 The chateau of the Dragon was inhabited until the early twentieth century. 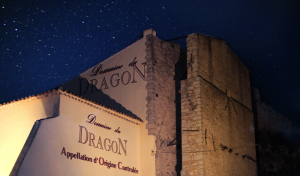 Just under 3 kilometres west of the town of Draguignan, the 24 hectares planted with vines on the estate of the Dragon, all have what they need to give a Provencal wine worthy of the name: a land fertilized by abundant springs and a southern exposure to enjoy the generous sun. A vineyard blessed by the gods, as shown by the remains of the medieval Saint-Michel chapel, close to the winery, on the edge of the Malmont plateau. 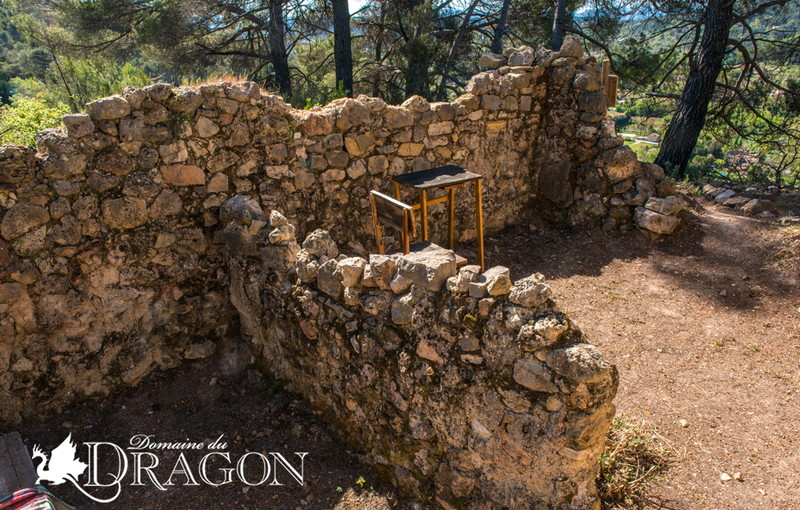 Perched on a rocky outcrop, the remains of this rural church, dating from the thirteenth century, testify to a long and turbulent history. 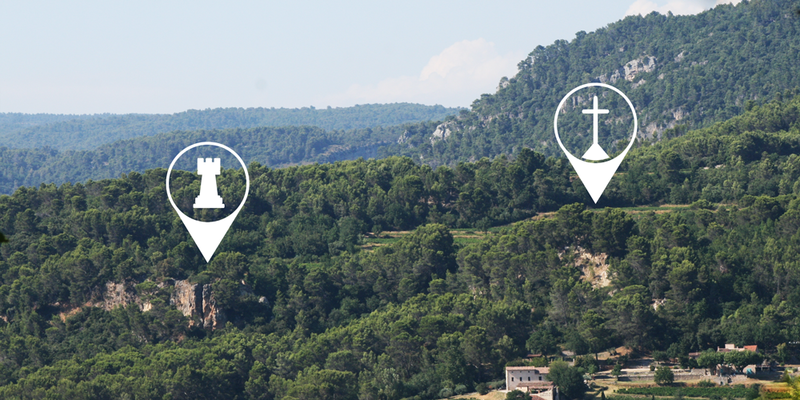 From communal records we learn that in July 1372, Vicar Antoine Motet fled with the jewels and church ornaments. And in 1606 an adjoining building was added to house a guard who would be in charge of ringing the bell “to avert the storm”. In a tragic coincidence the same year, the olive trees of the neighbourhood were attacked by invasive worms. The two small rooms which were added are divided by a thick wall, and communicate with the nave from the sanctuary where the altar would have been, against one of the surviving walls of the building. A stone bench runs around the inside of the whole building. Une autre de 1606, annonce qu’un ermitage mitoyen va être bâti pour y accueillir un gardien qui sera chargé de sonner la cloche “pour écarter la tempête et conjurer l’orage”. 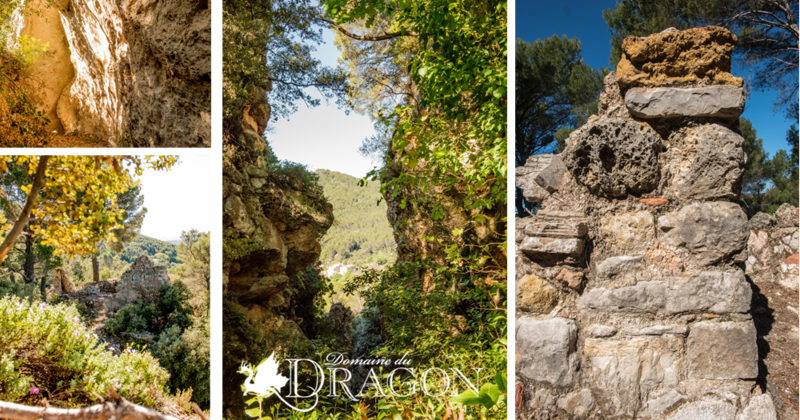 Tragique coïncidence, la même année, les oliviers du quartier furent attaqués par une espèce de ver rongeur…Cet habitat protecteur a laissé des traces sur le domaine du Dragon : deux petites pièces, divisées par un épais muret. 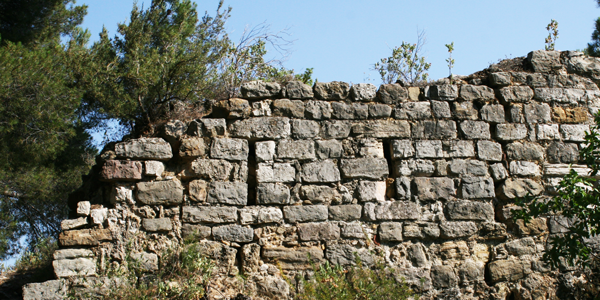 Celles-ci communiquent avec la nef du sanctuaire où se devine l’emplacement de l’ancien l’autel, adossé à l’un des murs encore existants de l’édifice. Et bordé de deux niches collatérales ainsi que d’une banquette de pierre ceinturant l’ensemble. Un long sentier de terre grimpant dans les hauteurs de la propriété, conduit à tous ces vénérables vestiges du patrimoine dracénois. Il n’a rien d’un chemin de croix cependant. La balade est des plus agréable. Au bout de celle-ci, une immersion dans le passé. 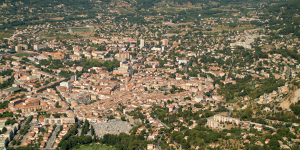 Et un paysage à perte de vue. 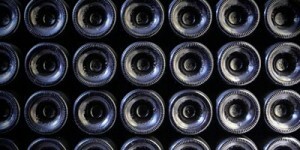 whilst enjoying a stunning view of the surrounding countryside. 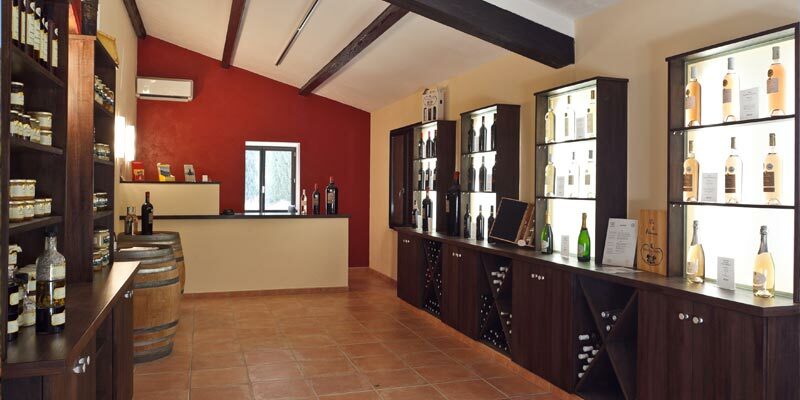 Besides its wine-making business, the domaine of 65 hectares offers holiday home accommodation for weekly rental. Please contact us for details.